Metabolism is one of the crucial processes that occur within our body to sustain human life. In simple terms, the outcomes of metabolism are – extraction of cellular nourishment from the food eaten and flushing out waste products that are left behind after the energy is extracted. Needless to say, it is highly critical to have a healthy metabolic rate. A mismatch in the number of thyroid hormones secreted as compared to the quantity required by the body can wreck the body and the way it is supposed to function. 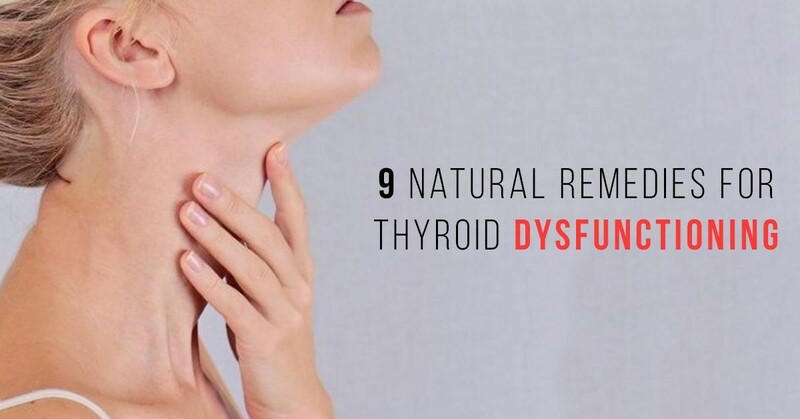 Thus thyroid dysfunction may lead to many health issues that can sully the good quality of life that a healthy person lives. Cutting off Gluten from Your Diet – A gluten-free existence is said to be the most effective way of avoiding thyroid troubles as well as managing existing thyroid malfunctions. Bring in the Probiotics – A healthy gut can pave the way for a vigorous immune system. It is important to keep the gut microflora in top shape with regular consumption of probiotics like yogurt and kefir. beans will help prevent such a condition. Check your Soy intake – Too much of soy in your diet can hamper the activity of iodine in the body which is essential for the healthy functioning of the thyroid gland. Avoid the Green Leafies – Green Leafy vegetables like kale, spinach, and broccoli may be very good for general health, but in case of thyroid malfunction, these vegetables can add to the trouble. Reduce salt intake – Eating foods that contain too much salt can exacerbate the thyroid dysfunction. Steer clear of foods containing too much iodine and excess salt. Eat more Protein – A protein rich diet which includes foods like eggs, tofu and chia seeds can help in promoting healthy thyroid function. Resist those sugary treats – Too much sugar can also negatively affect the functioning of the thyroid gland. Staying away from sugar-laden food will help. Lower your stress levels – One can consciously work on lowering stress levels by practicing yoga, meditation and indulging in physical exercise. Follow these simple dietary and lifestyle changes to bring a positive change in your life!